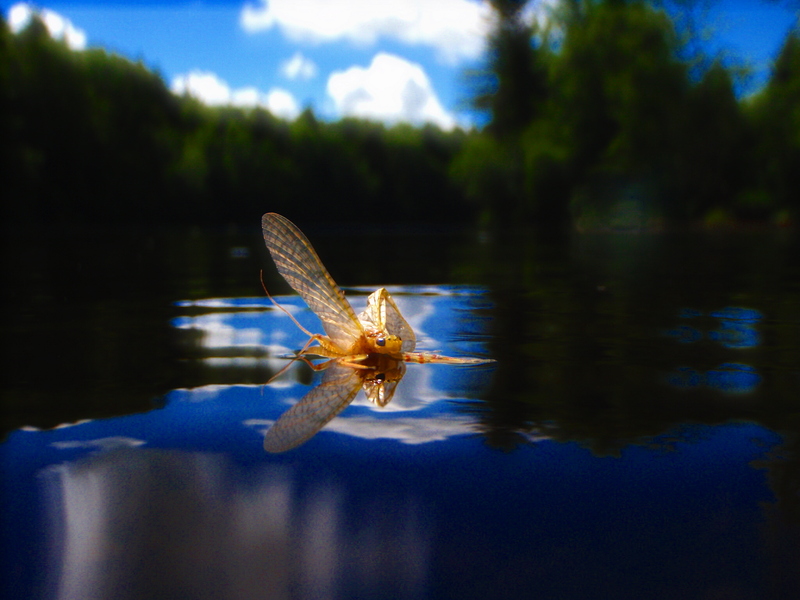 Posts: 15 If you know of a Hex hatch on one of your rivers I would suggest you try to hit it. The hatch can come off between 10-10:30 PM. But be careful it can change the way you look at a river for the rest of your life! Posts: 142 I got out tonight to do some night fishing for the first time this year. I went to a river in the Southern ADK's that I know fairly well. The biggest fish I have caught from there in the past was 15''. It has a good population of rainbows and holdover browns, but the bigger fish are few and far between, so I wanted to see what turned up at night. Some things I would do different....bug spray/long sleeves and check the weather. I will probably head back out to do this within the next few weeks with a much better game plan. Posts: 1197 Great story, Artie. Even though no one's happy when the big one gets away, it does add that element of mystery to both the story and the spot where it happened, and I believe that element of mystery is one of the biggest reasons we fish. Standing slack-lined and shaking in the stream is a pretty awesome feeling, really. I couldn't agree more. As I was walking back to my car, all I kept wondring was...."How big was it?" Posts: 59 Awesome story! I'm definitely looking forward to a similar experience when I hit the stream at night. How late were you out? Posts: 115 I have done a little night fishing. In fact that is kind of how I got introduced to fly fishing. I just happened to be on a stream trying fly fishing for the first or second time and a guy who just happened to be on the board of the FFF came by showed me a little on how to cast and then told me to come back that night about 8pm. I did and I never saw so many fish come to the surface. could I catch one? no. but I will say this from that experience and others your eyes do adjust quite well after about 20 minutes and from there on out I think it's best not to turn your light on. now my question is do you need to see the dry fly or can you expect a take and a self set. I have poor eyesight and I am going for the hex this year but I just wonder how I'll do. I'm thinking maybe I'll fish downstream and fish my dry on a swing, hopefully that will make for easier strike detection without seeing and possibly a self set. I started fishing at about 8PM where I lost the fish. Sunset was around 830 I think, and the thunderstorm happened a little after 10. Next time, I am going to stay much later and go to a river I know intimately. Floating line with huge cone heads first time down a certain stretch, then fish the same stretch again with dries/mouse pattern. Posts: 71 I have been out with my dad very early in the mornings on occasion during the summer (about 1am) on the Battenkill and boy do you here some thunderous splashes. I have been told to drag mice near the shoreline or big woolybuggers but I have had little luck with the hookset because we have gone in extremely low light conditions (New Moon periods) and the area we fish is really shaded from the light. Once I get back from my internship I am devoting the rest of my summer to fishing at all times including after dark. Re: Hatches II missing pages?